As an organization committed towards uplifting the society they operate within, Aitken Spence has always steered a clear strategy towards social development. As part of an integrated sustainability plan, which spreads across the entire Group, the Company’s HR Division has included supporting the national education system, in their sustainability strategy. 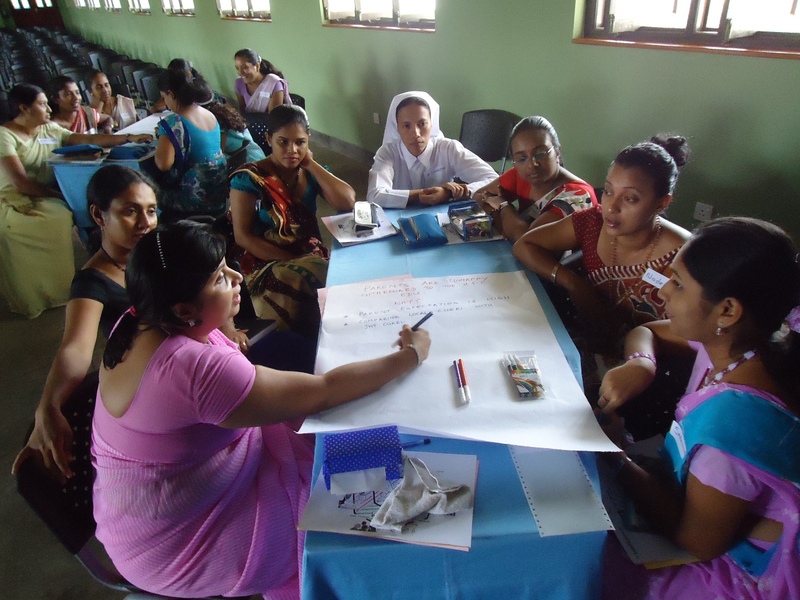 Aitken Spence HR recently conducted two programmes for students and teachers in the Kaluthara and Colombo districts. One of many similar events planned for the near future, the aim of the programmes is to support the efforts made at a national level to improve skills shortages. In the two separately held events, the Company’s HR team addressed the needs of students and teachers, taking into considerationthe concerns of each group in an approachable and inspirational manner. The first event, ‘Cross Roads 2011 Career Fair’, which was organized by the Old Boy’s Association of Holy Cross College Kaluthara, had a group of resource personnel from the Aitken Spence HR team – conducting two sessions on career guidance and the concept of Multiple Intelligence. Over 750 students ranging from the ages of 15 – 18 from a number of educational institutions around the Kaluthara district attended the fair, taking back with them valuable information and knowledge on planning out their future careers. The main purpose of this event was to build awareness and to guide students in to going beyond the status quo in finding a career path that is in line with their proficiency and interests. The Aitken Spence HR team,who discussed the subject in detail, also talked about myths involved in career planning, self-assessment and introduced a 5 step career planning approach. The second event on the agenda was the organising of an ‘inward bound’ programme for teachers of the Holy Family Convent in Bambalapitiya on the 25th of October 2011.Hundred teachers participated in this event, which had many interesting outdoor activities, with a special focus on useful developmental concepts. The programme was put together with the main aim of introducing techniques to improve the role of the educator by tailoring different approaches to suit specific situations such as facilitator, mentor and counsellor. Through regular debriefings and discussions after each activity – the teachers were able to interact and swap stories, and each was able to learn from the experiences of their peers. Apart from these two events, Aitken Spence HR has also conducted two special programmes on Career Guidance and Multiple Intelligence for G.C.E. A Level students of Mahamaya College, Kandy earlier this year. The programmes were conducted at an event organised by the Old Girls Association of the school and was attended by approximately 400 students. Aitken Spence also conducted a seminar on career guidance for the University of Colombo. The participantswho numbered over 300 undergraduates, were from the University’s Faculty of Science. The Aitken Spence HR Team who is taking every opportunity to assist initiatives that supplement the national education programme, have made plans to participate in several similar programmes that are lined up for the future. Heritance Ahungalla, Sri Lanka’s leading five-star resort, owned and managed by Aitken Spence Hotels was certified for Energy Management System ISO 50001:2011. Heritance Ahungalla is the first hotel to receive ISO 50001:2011 certification in Sri Lanka. The certificate was presented to Mr. Malin Hapugoda, the Managing Director of Aitken Spence Hotels by Dr. Srilal de Silva, Chairman of Quality International Certification Services (QICS) at the hotel on 09th December 2011. Dr. de Silva stated that Heritance Ahungalla staff had demonstrated their commitment to reduce energy and the need of sustainable development for today’s business with the implementation of ISO 50001. The owning company of Heritance Ahungalla, Aitken Spence Hotels, had initiated to introduce ISO 50001:2011 as a tool to reduce energy consumption, having recognized the ever escalating energy cost and the impact on global warming due to the efforts to generate more energy. With the introduction of Energy Management System, Heritance Ahungalla will now be able to effectively manage energy consumption without compromising the guest comfort. It will also enable the hotel to meet the current and future mandatory energy efficiency targets and requirements of green house gas (GHG) emission reduction legislations. The preliminary work was initiated in March 2011 based on BS EN 16001 standard, which is the British Standard on energy management systems. However it was reconfigured to suit the requirements of ISO 50001 which was released in June 2011. Dr De Silva stated that the certificate which was issued by QICS will be accredited by the United Kingdom Accreditation Service (UKAS) in the near future. Mr. Refhan Razeen, General Manager of Heritance Ahungalla explaining the approaches made in developing the system stated the declaration of the energy policy was the first step taken to develop the system. This was followed by independent energy audits to identify areas which involve significant energy consumptions and energy objectives and targets were established to address these areas. The findings of energy audits were used to determine energy baselines for the development activities. A Sustainable Development Committee was established with the representative of departments and this committee headed by Chief Engineer Jayantha Madanayake was responsible for developing the action plan to achieve the targets. The committee outlined the action plan adopted to achieve the targets stated that already the hotel had saved significant energy savings and reduction in operational cost is significant. “We at Aitken Spence Hotels have been setting trends for energy reductions. Setting up the first gasifier in the hospitality industry at Heritance Tea Factory, Heritance Ayurveda Maha Gedara to be the first net-metered hotel and now Heritance Ahungalla first ever hotel to be certified as its energy management system based on ISO 50001, are few of the milestones achieved. We always try to establish the best practices and set examples for the industry” said Rohitha Rajaratne, Vice President Engineering, Aitken Spence Hotels. Mr. Malin Hapugoda the Managing Director of Aitken Spence while recognizing the services rendered by all staff at Heritance Ahungalla in developing the system stated that Aitken Spence Hotels will always be recognized for continual improvement of the energy management system in their hotels. With the ever increasing energy cost and limitations of supplies especially in Sri Lanka, this step by Heritance Ahungalla is expected to bring in a significant saving of energy consumption as well as reduce cost of operations. The improved energy efficiency of the operations is expected to drive the company towards greater productivity and this will enable the hotel to be competitive while reducing its dependence on the national energy supply. The hotel has already reduced the cost of energy significantly through their improved best practices and was awarded with the Bronze Flame in the Large Hotel Sector at the National Energy Efficiency Awards 2011. Aitken Spence Hotels’ first hotel property, Neptune Hotel, recently re-opened as Heritance Ayurveda Maha Gedara. Leveraging on innovative strategies in the area of renewable energy the Hotel recently broke new ground by being the first hotel in the country to enter into a Net Metering Agreement using solar photovoltaic as the renewable energy source. The Government of Sri Lanka approved the concept of Net Metering in August 2009. In early 2010, LECO was the first to announce the new procedure. Net Metering is a special metering and billing agreement entered between utility companies and their individual customers which facilitates the connection of small, renewable energy generating systems to the power grid. Solar Photovoltaic Systems can be broadly connected either as an Off-Grid System (solar power used to charge batteries) or an On-Grid System (solar power fed directly to the grid). The system installed at Heritance Ayurveda Maha Gedara is a unique design having both features integrated into a single system. During the day, the power produced from the solar panels is used to charge the batteries as well as feed power to the grid. This has been achieved by increasing the capacity of the solar panels so that excess power is generated, more than required to charge the batteries. Once the batteries are fully charged, excess generated power is fed to the grid via the netmeter. During the night, the charged batteries are used to power the hotel garden lighting. The annual savings from the system is 4,639 kWh, equivalent to a reduction in the hotel’s carbon footprint by 3.4 Tonnes. In addition, the hotel also has a solar hot water system for pre-heating the water before it is sent to the heat exchanger which acts as a storage for hot water. This reduces the furnace oil consumed by the boiler. The hotel will be saving 1,417 Liters of furnace oil annually thus mitigating its carbon footprint by 4.6 Tonnes. The biogas plant uses kitchen garbage as the primary source for the production of biogas which is utilized in the herbal preparation unit of the ayurveda resort. By adopting net metering, Heritance Hotels further reaffirms their commitment towards practicing sustainable tourism. “The installation of systems such as this help break our dependency on fossil fuels, add to the diversification of our current energy portfolio and most importantly helps lessen the environmental footprint associated with electricity generation and consumption. We all have worked extremely hard in order to maintain our existing sustainability practices while constantly coming up with new and innovative ways of enhancing the edge we have on the sustainability front, and we are delighted to be the first hotel in Sri Lanka to enter into a Net Metering agreement with the Lanka Electricity Company”, said Mr.Rohitha Rajaratne, Vice President, Engineering, Aitken Spence Hotels. Heritance Hotels and Resorts believe passionately in Sustainable Tourism and have been very active in engaging both guests and communities in promoting these ethics. “All forms of tourism potentially has an environmental, social and economical impact on a country, we at Aitken Spence Hotels take all necessary measures to negate any detrimental impact a guest may have on the environment while holidaying with us.”, said Mr.Malin Hapugoda, Managing Director, Aitken Spence Hotels. The company’s premier resorts operate under Heritance Hotels & Resorts. Its latest Heritance property, Heritance Ayurveda Maha Gedara, commenced operation in July 2011. It has joined the award-winning Heritance Hotels & Resorts portfolio consisting of Heritance Kandalama, Heritance Ahungalla and Heritance Tea Factory. Aitken Spence Cargo, the Freight Forwarding arm of Aitken Spence PLC was recently awarded ISO 14001: 2004 Environmental Management Systems Certification. Managing Director Rohantha Peiris stated that Aitken Spence Cargo is honoured to be among the first in the industry to achieve this prestigious certification demonstrating commitment to environmentally friendly practices, at a recent ceremony where the certificates were presented to Aitken Spence Cargo by Det Norske Veritas (DNV). “We are happy that Aitken Spence Cargo being the pioneer International Freight Forwarding company in Sri Lanka is one of the pioneers in the industry to achieve ISO 14001 certification” stated General Manager Nishan Jayawardena – Management Representative (M.R. )-Environmental & Quality Management Systems (EMS & QMS) and Dhilmini Palipane- Deputy M.R., Assistant Manager HR, Service Quality & Corporate Sustainability. Aitken Spence Cargo pioneered international freight forwarding in Sri Lanka and with over 200 staff continues to be a leader in providing integrated logistics solutions, including air and ocean freight forwarding, packing, warehousing, removals, relocations, custom brokerage, international air cargo carriage services, supply chain and logistic management services. With Aitken Spence Cargo’s Quality Management System certified to ISO 9001: 2008, the Environmental Management System certification to ISO 14001: 2004 places Aitken Spence Cargo among the leading companies in Sri Lanka to have both certifications and further strengthens the company’s integrated management systems in providing total logistics solutions. Aitken Spence Hotel Holdings PLC emerged victorious at the prestigious National Business Excellence Awards (NBEA) presented by the National Chamber of Commerce of Sri Lanka by being adjudged the winner in the Hospitality Sector. The National Business Excellence Awards is an annual award competition conducted by the National Chamber of Commerce of Sri Lanka (NCCSL) with a view to recognizing business enterprises, which have demonstrated excellence in business, whilst contributing to the economic progress of the country. Applications for the awards were technically evaluated by a team of highly qualified professionals and the final selection was made by an expert Panel of Judges headed by Prof. Uditha Liyanage, Director, Postgraduate Institute of Management (PIM). Aitken Spence Hotels operates a chain of 25 hotels and resorts in Sri Lanka, Maldives, India and Oman. With many years in the hotels industry, the company’s expertise in hotel design, building and management is complimented by its dedication and commitment to excellence in everything on offer. Located in some of the key tourist locations, each of the chain’s leading hotels caters to a diverse client base. Aitken Spence Hotels boasts of having a hotel suited to a variety of needs and budgets while maintaining the highest standards of hospitality. The chain includes award winning resorts, distinctive properties, layovers and niche market hotels. Aitken Spence Hotels have received many accolades for their environmentally friendly operations which demonstrate their strengthened commitment towards the individual environments in which they operate in and their responsiveness towards the crisis faced with regards to the depletion of natural resources. “We are extremely proud of being the recipient of this award, it is truly rewarding to be recognized for the contribution Aitken Spence Hotels makes to the socio economic development of the country while practicing exemplary business practices”, said Mr.Malin Hapugoda, Aitken Spence Hotels. 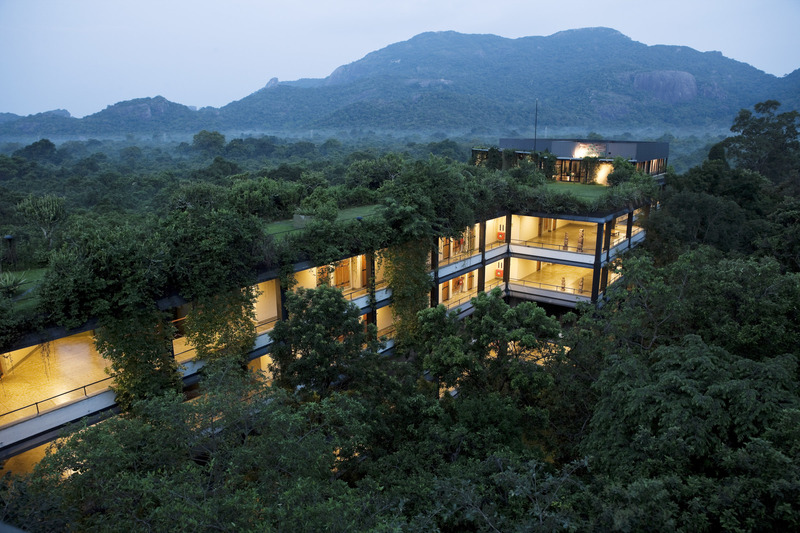 Aitken Spence Hotels has been pioneers in driving sustainable tourism in Sri Lanka. As a measure of further commitment to the cause, the Company is a signatory of the United Nationals Global Compact (UNGC) and undertakes the social obligation towards sustainable business practice. Aitken Spence Hotels align its operation and strategies with ten universally accepted principles in the areas of human rights, labour, environment and anti-corruption. As the leaders in “green” tourism, Aitken Spence Hotels has formulated strategies to ensure the protection of the destination, thus enabling it to retain its natural and cultural appeal over time. Aitken Spence chain boasts of exotic properties such as Barefoot at Havelock located on the “The Best Beach in Asia” as rated by the Time Magazine, award winning eco-friendly properties, such as Heritance Kandalama, situated in close proximity to two UNESCO world heritage sites and Desert Nights Camp, Al Wasil, Oman, rated as one of the top ten desert retreats in the world. The chain’s Heritance Tea Factory has been voted by the Independent, UK as one of the ‘Top Five Factory Hotels’ in the world and one of the best 100 places to stay in the world.